Cincinnati’s Issue 22, the charter amendment that would institute a one mill park levy, has been the object of intense political warfare and heated rhetoric this fall. 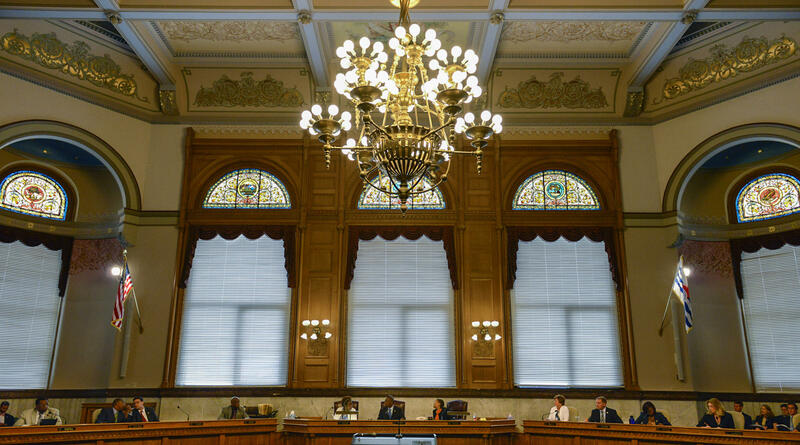 The two city charter amendments that follow it on Tuesday’s ballot in Cincinnati – Issue 23 and Issue 24 - have produced nothing but silence. Both were recommended by the city’s Charter Review Task Force and approved by Cincinnati City Council for the November ballot. The task force worked for over a year and considered everything from changing the way council is elected to a strong executive mayor form of government, but only these two marginal changes to the charter made the ballot. It would move Cincinnati’s mayoral primary – which is next scheduled for 2017 – from September to May. If a mayor resigned office before June 1 of his or her second year in office, the primary election would be held in August. Under the current system, if there are only two candidates for mayor, there is no primary. That would remain the same if Issue 23 passes. The top two finishers in the May primary would face each other in the November election. The argument in favor: Members of the task force told council it would save taxpayer dollars because there is already an election in May of odd-numbered years and the city wouldn’t have to pay for what amounts to a special election in September. And, in a close primary, it would give election officials enough time to conduct a recount. The argument against: Some say it would give an incumbent mayor an even greater advantage because there would be more time to raise campaign dollars between the primary and general elections. Provide that the date of the mayoral primary shall be moved to the first Tuesday after the first Monday in May of the year of an election to select a mayor of the City of Cincinnati or, if the date of the State of Ohio primary will be held on an alternate date that year, to the date of the state primary; and in the event of an election to fill the unexpired term of the office of mayor, to move the date of the mayoral primary to the first Tuesday after the first Monday in August of the year of an election to fill the unexpired term of the office of mayor or, if the State of Ohio August election will be held on an alternate date that year, to the date of the state election scheduled to be in August of that calendar year? It would change the starting date of mayoral and city council terms from Dec. 1 to Jan. 1. It would also allow city employees to be involved in political campaigns outside the city, putting the city charter in line with state and federal law. It would also eliminate some obsolete language in the charter. Arguments for: If there is a close election – either for mayor or for the final spot on the nine-member city council – it would allow more time for election officials to conduct recounts. It would also give new mayors and new members of council more time to prepare and transition into their new offices. Argument against: No argument has been presented. Change the first day of mayoral and council terms from December 1st to the first Tuesday after January 1st of the year following such individuals’ election to office; to clarify the basis under which the municipal water utility may pay for principal, interest and retirement charges incurred from water utility bond issuances by eliminating obsolete references to the “sinking fund”; to expressly provide for veteran preferences for municipal civil service examinations as contained in Ohio Revised Code Section 124.23; to ensure that the partisan political activity provisions in the Charter are consistent with the United States and Ohio Constitutions by permitting municipal employees in administrative service to engage in permissible partisan political activity while continuing to prohibit certain types of participation in elections for City of Cincinnati offices; and to clarify the basis upon which the council may levy admissions taxes or any taxes to pay the principal, interest and retirement charges on all municipal bonds issued by the City of Cincinnati by eliminating obsolete references to the “sinking fund”?